Publications are at the heart of the Society for Libyan Studies research endeavour and provide an invaluable and lasting record of our commitment to furthering our knowledge of the history, environment and cultural heritage of Libya and the broader North African region. The Society produces a variety of books as well as the official journal, Libyan Studies. If you would like to submit a book for one of our series – Monographs, Silphium Press or the new Open Access Monograph series – please look at the NOTES FOR AUTHORS DOCUMENT and fill in the BOOK SUBMISSIONS/PUBLICATION PROPOSAL FORM. The Society has, since 1977, produced high-quality monographs based on research in and around Libya. Many of these publications centre on excavations but also include conference proceedings. Members can order these books at special rates from this website; non-members can order through our distributor, Oxbow Books. Some of these titles are now available as Open Access publications. If you are interested in submitting a book, please refer to our Book Submissions guidelines. Silphium Press is the more popular imprint of the Society’s publications. Books on this list will appeal to a wider audience with a more general interest in Libya and North Africa. Members can order these books at special rates from this website, and non-members can order through our distributor Oxbow. If you are interested in submitting a book, please see our Book Submissions guidelines. This new series of books is a result of a highly successful co-publication arrangement with Cambridge University Press. Titles are listed on the CUP Monographs page and can be ordered through Cambridge University Press. 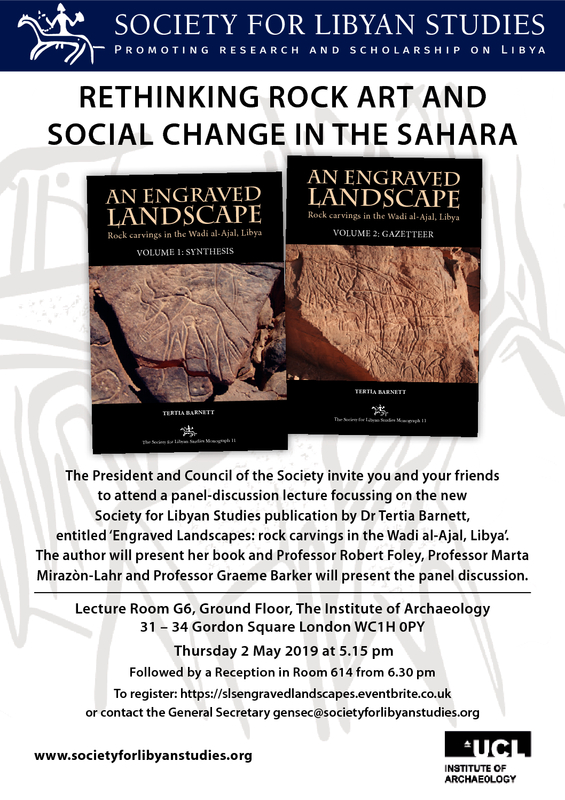 As well as publishing and disseminating work on Libya and North Africa, the Society is also committed to reaching the wider public in North Africa itself, to promote learning and education about their own cultural heritage. So far, the Society has translated Philip Kenrick’s Tripolitania guidebook, which has been printed and distributed free to North Africa educational institutions. In addition, an article from Libyan Studies was recently translated. Both of these publications are available as free downloads on the Arabic Publications page. We hope to increase the number of Arabic translations in future, so watch this space! The Society, always keen to modernise its methods for the dissemination of its research, has launched an Open Access list of titles. The Society’s backlist is in the process of being digitised and a number of books are already available. The Society is also starting an Open Access list for new publications, particularly those based on doctoral theses. Please contact the Publications Manager in the first instance if you have a proposal for this series, and read the information in Book Submissions.